Peas are part of the Leguminosae family and are related to beans, groundnuts, and clovers. The genus Pisum is included in the Vicieae group which also contains broad beans, chick peas, and lentils. Pisum sativum is a plant that has been used in gardens for thousands of years. 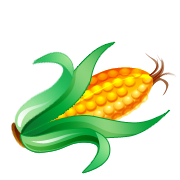 It is considered an important crop because it is used all over the world. Its importance can be seen by the continued use over thousands of years. On this page you will discover the ways in which Pisum sativum reproduces, its specific adaptations, and how it gains its nutrients. P. sativum reproduces in a cycle known as an alternation of generations. This means that there are separate times in the life cycle when the haploid and diploid phases are clearly seen and expressed. P. sativum, like other angiosperms, has separate male and female parts. The female part is called the pistil. It contains the style, the stigma, and the enlarged base known as the ovary, which contains the eggs. The male part is known as the stamen. The filament and anthers make up that stamen. The anthers contain the pollen grains. For pollination, or fertilization to occur, insects, usually, will enter the open petals of the flower to drink the nectar. When the organism enters the flower it rubs against the pollen grains and takes some of the pollen with it as is travels to the next flower. When the organism arrives and enters the next flower, the pollen which was picked up can be transferred to the female portion of the pistil that is placed near the pollen anthers. In the case of pea plants, P. sativum, can self-pollination. This is when pollen from a plant falls on the the female ovary within the same plant. Pea plants are open to be externally fertilized by insects and can close to be self-fertilized. 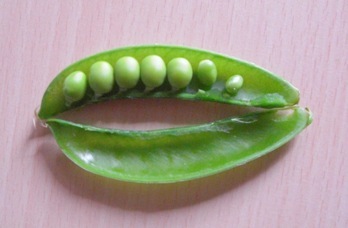 Peas, like some other legumes, have developed specific adaptations to allow the continuation and reproduction of each different species. Pea plants have developed and adapted to self-pollinate when necessary. Self-pollination allows for the reproduction and continuation of the species but when it is pollinated by itself there is less of a chance for greater genetic variability and changing. Pea plants have also developed relationships with bacteria and fungus. With the bacteria, the plant receives nitrogen which has been fixed into a form that is easily used by the plant and the bacteria receives extra sugars and other nutrients which the plant has made. With the fungus, the plant receives an increase in the uptake of nutrients in the soil and the fungus receives the sugars made from the plant as they reach the roots where the relationship between the fungus and pea plant occurs. For more interactions of pea plants and organisms check this out! When plants first transitioned to land it was necessary for there to be the development of a vascular system for transporting not only water but the sugars which were made in the leaves due to photosynthesis. With this came the eventual evolution and development of the xylem and phloem. The xylem is used to transport water and the phloem is used in the movement of the dissolved solutes-consists of organic compounds such as sugars, sugar hormones, and amino acids. This adaptation allows for the plants to grow taller and to move from an aquatic system to land.